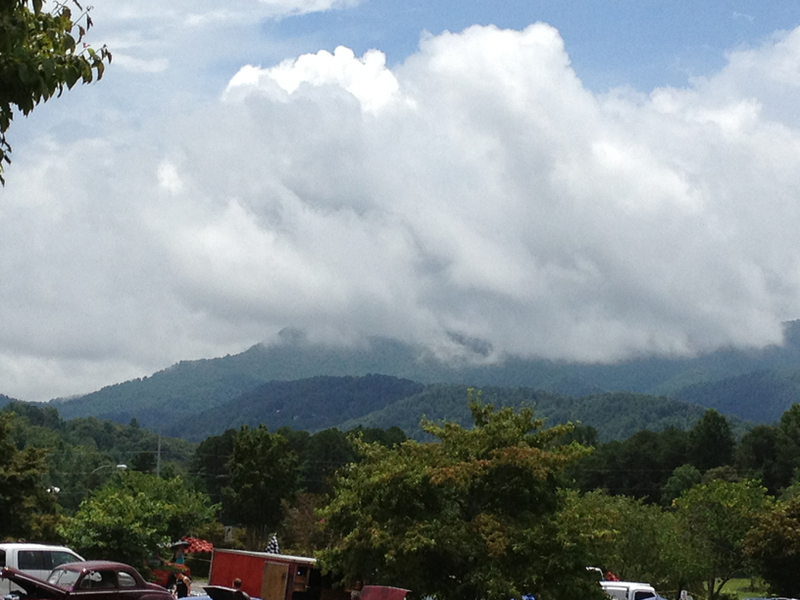 However this past weekend my husband, Jimmy and I headed north instead to the “Georgia Mountain Moonshine Classic Car Show” just a few miles from the charming little Alpine City of Helen, GA. He is the car lover in the family and I went along to enjoy the beauty of the mountains. Although car shows are not my first choice of places to spend a weekend, it’s always fun to see what kind of amazing creativity, love and hard work people have put into their old cars. 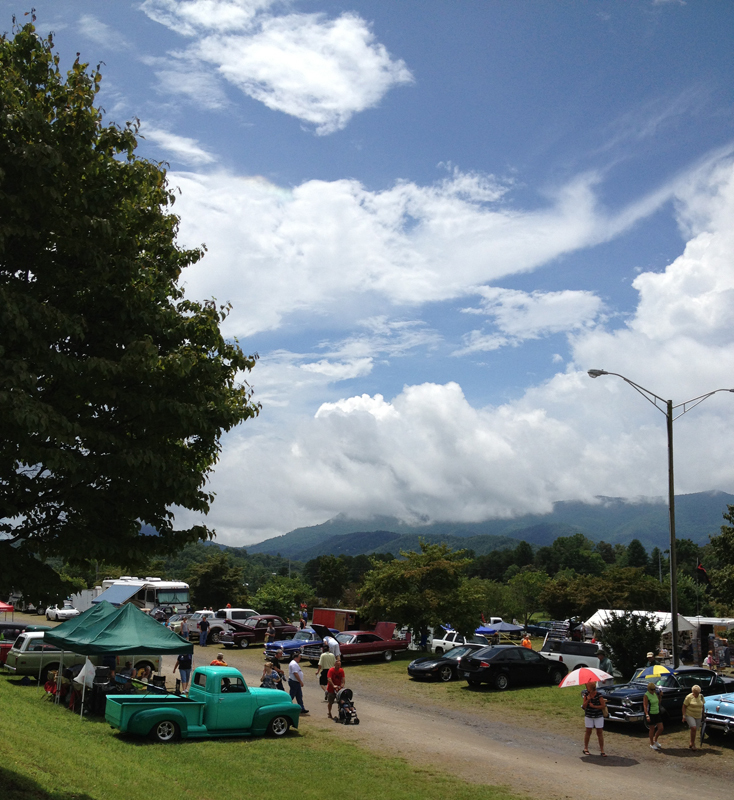 In spite of the name of the car show I didn’t see a drop of moonshine although it was rumored to be there. 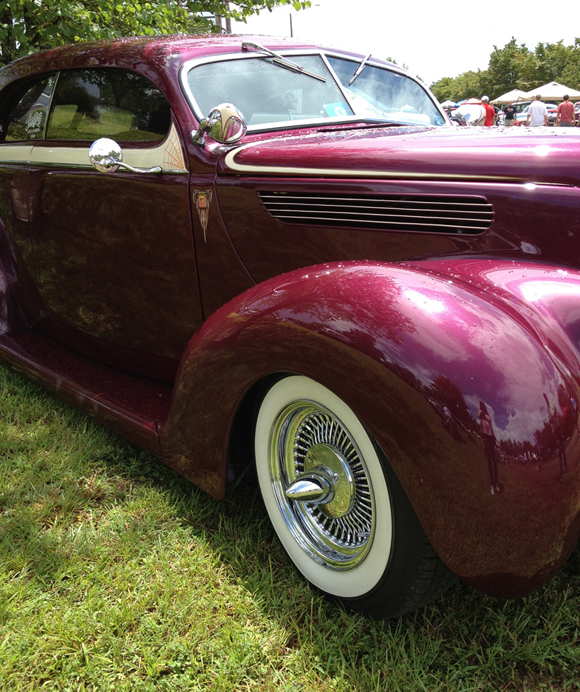 There were hundreds of gorgeous automobiles on site, though. There was a cartoon of a little hillbilly on the show logo but it wasn’t made up of the kind of people depicted on some of the TV shows about the south, Georgia in particular. I do love my home state but nope, I’m not a redneck, far from it and I will be the first to tell you that the stork apparently dropped me off a little too far from the coast. 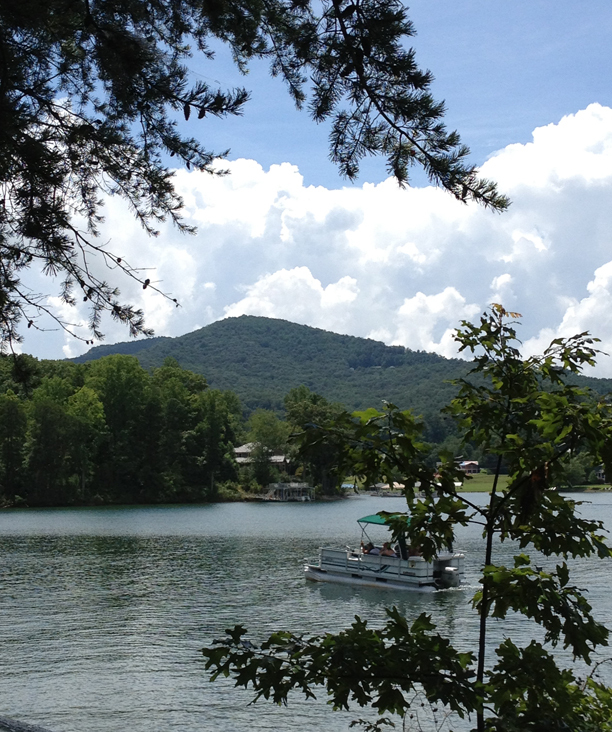 Anyway we had a fun trip and I enjoyed being out in nature and near the water even if it wasn’t the Caribbean. I shot a lot of photos, too so I’ll share a few with you here. 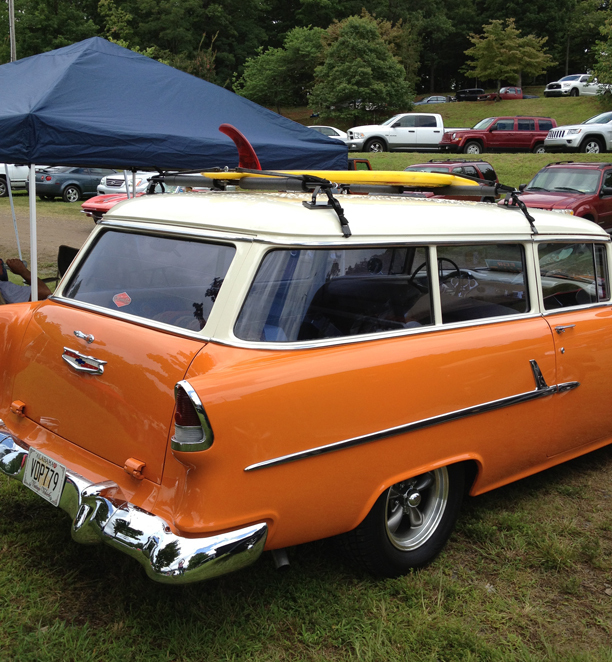 I loved this old Chevy wagon with the surf board. Tags: georgia mountain, old chevy | Permalink. When the weather is cool I always enjoy crocheting scarves. I learned how from my grandmother when I was a little girl. I’ve never been able to just sit doing nothing when it’s too cold to be outside in the evenings. I’ve never done any yarn work in the summer months, thought because its always just seemed too hot for that kind of thing. However, last week I was in the arts and crafts store for some paper and saw this really different looking yarn, Sensations Angel Hair. 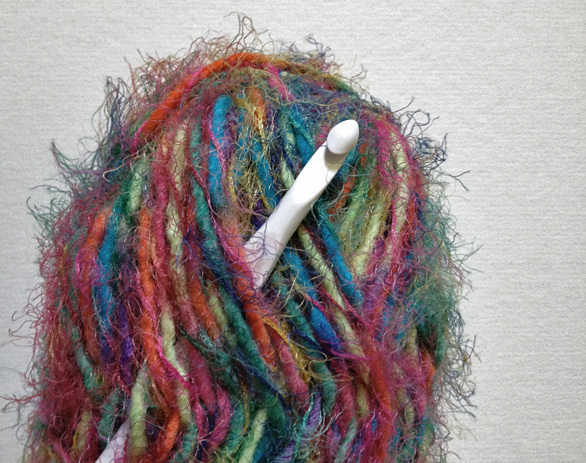 It looks so cool with the soft variegated yarn wrapped in smaller alternating colored threads. It spoke to the hippie in me ;)! I just had to make something with it so I bought a few skeins to give it a try. It is so incredibly soft and easy to work with and its so casual and festive! I did a little research online for something to make using “bulky” yarn and found a pattern for a shawl at the Lion Brand Yarn website. I altered it just a bit because I wanted more of a small throw than a shawl. I am loving the playful, somewhat open weave look of it. It will be great for snuggling under when my husband turns up the air conditioner while watching a movie on a summer night or when I’m sitting on the deck to keep mosquito bites away. I guess it was time for a little change in my creativity this season and I’m really happy about it. 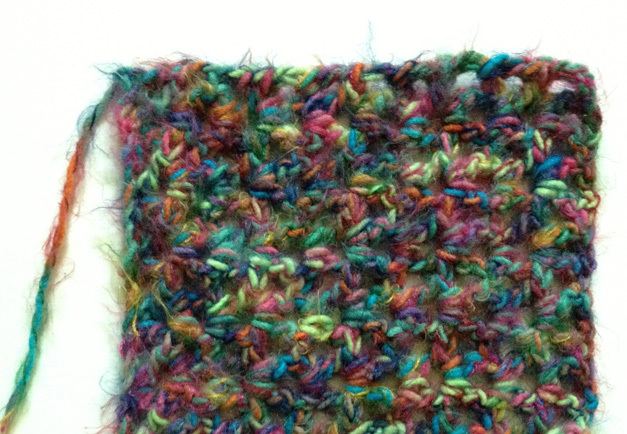 First few rows of multicolored throw. It has been much too long since I posted here and I’m hoping to get back into the habit a little better than before. I’ve learned a lot about blogging since I started this one and one thing is that when I keep a journal, my beloved Moleskine, I feel like don’t have as much to write about here. My personal journal, however is not open for the world to see as is this one so here’s a little about what’s going on with me. Back in November we lost my cousin to cancer and the week of Thanksgiving I lost my precious cat of 20 years, Jennifer. Those two events were very hard to go through and took so much out of me. I have SAD, Seasonal Affective Disorder, which is a type of depression that comes during the winter months so that made it all even harder. Drawing always gets me in a better mood no matter what is going on so I was able to finish my artwork that was promised to clients by Christmas. Another thing that always picks up my mood is music so the winter months were not all sad because I was able to go to two amazing concerts. 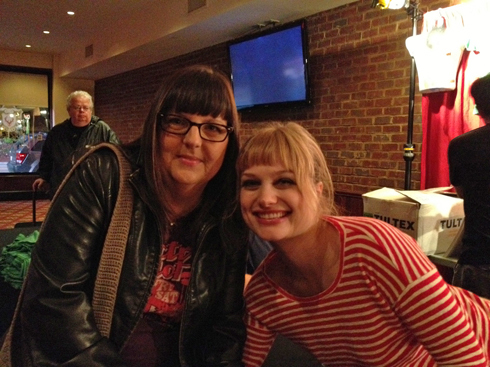 I saw the very inspiring A Fine Frenzy and had the privilege of meeting Alison Sudol. She played Buckhead Theater in Atlanta along with Joshua Radin and Madi Diaz. My mom attended the concert with me and I was surprised at how much she really enjoyed as she is not the music lover that I am. 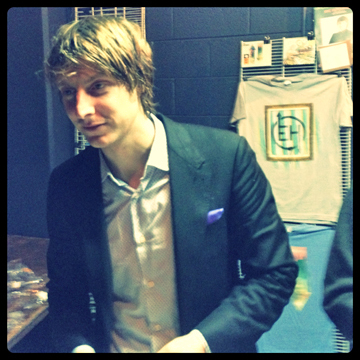 My husband and I went to see Eric Hutchinson on his “Almost Solo Tour” in December also in Atlanta and it was a fantastic show. Eric is such a talented singer, songwriter and musician so it was a real treat to finally see him play live. I have posted before about the cats that adopted us and I have been working all winter trying to get them all inside, tame them and have them spayed and neutered. Taming feral kitties is not an easy job. It takes much time and patience. I’ve learned so much about animal behavior through it, though. Each kitty has a different personality and the way they interact is no less than amazing. So that’s what’s been going on. I’m sure now that spring is just a few days away I will be snapping away with my camera and sharing lots of nature photos on my photo blog and here as well. For now I will leave you with one of my favorite photos of one of those precious kitties, Sam, who has grown to be such a loving and beautiful cat. He and his sisters, Samantha and Sarah will be a year old in a few days. Tags: A Fine Frenzy, artist, cats, Eric Hutchinson, SAD | Permalink. It’s been a while since I posted here and there are several things I want to write about but these little guys and girls are really special to me and I’ve been spending a lot of time with them so I’ve decided to tell you about the kitties who have decided to live with us. Not so long after those photos were taken she stopped coming around and I really missed seeing her each afternoon. Seeing that she had the little ones and they all needed to eat I gave in (which was not a tough decision for me to make) and started feeding them and keeping fresh water for them each day. Slowly the cat that we now call Missy, became more friendly and allowed me to pick her up. Missy sitting on the deck rail peeking in the kitchen door. Before long the kittens started venturing up onto the deck with their mom and they were each so very different both in color and personality. 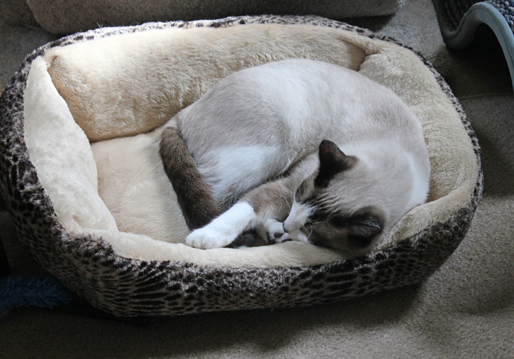 One, the only male, is definitely part Siamese, the smallest is black and white with green eyes and the third and largest is a light cream color with the slightest of colors like her mom’s only on her ears and tail. 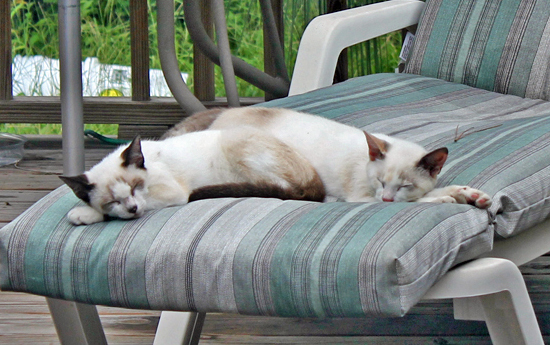 Now I am able to pick up the little one who looks most like a Siamese. He’s so sweet and curious and the most outgoing of the three. I am thrilled that my husband and I have decided to keep him. Today I was able to get him into a carrier and took him to our veterinarian who checked him for feline leukemia and HIV which was negative and gave him his kitten vaccines. He told me that since he is already beginning to get his adult “canine” teeth he is about 4 and a half months old and very healthy. 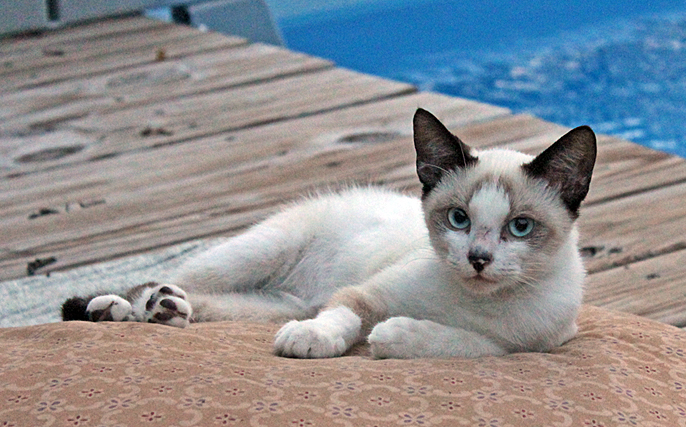 The little Siamese resting on the pillow by the pool. I’m working on taming the other two. The mostly white one has begun to allow me to pet her back when she’s eating so that’s a good start toward gaining her trust as well. The shy black and white one has finally ventured up on the deck to eat while I stand nearby. It takes much patience to tame feral kittens and I always seem to have more patience with animals than with humans so it’s a great joy for me to spend this time with them. Hopefully I’ll be able to get them to the vet soon and get their vaccines as well. Then in about two months we can have them all spade and neutered and find homes for them. 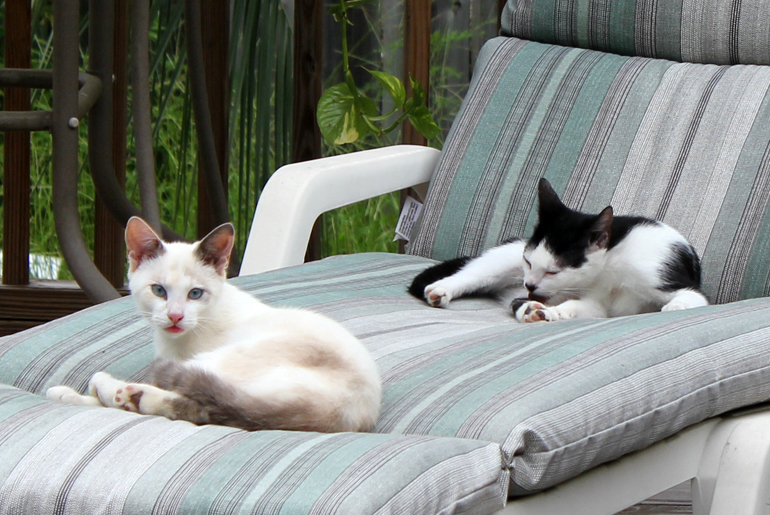 Here the black and white kitten has joined her sister in the sun. The two kitties who are part Siamese love napping on the lounge. 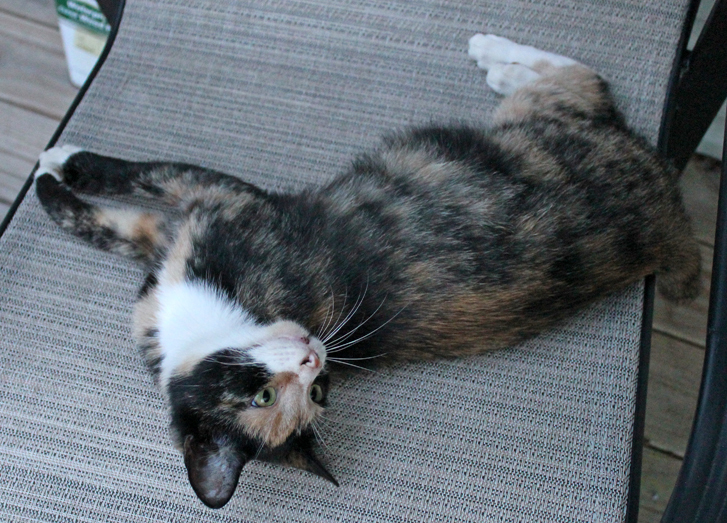 And in case you’re wondering about Missy, we had an appointment to take her in for vaccines and to have her spayed. The day came for her to go and she was nowhere to be found. She was gone for nearly four weeks. She’s back now and I do believe is going to have more kittens so until they are born she can’t be vaccinated. I am already planning on finding homes for them as soon as possible. I do not believe in allowing stray cats to continue having feral kittens. There is no need for them to live often painful and short lives when we can do something about it. Our two indoor cats, Alex and Jennifer aren’t exactly thrilled about these new additions yet, but I hope once they meet they will eventually become friends. 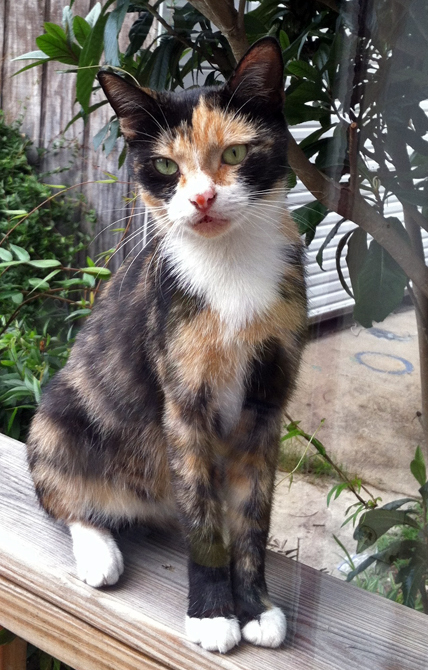 Tags: adopting cats, adopting kittens, cats, kittens, siamese | Permalink. Since I had my hand surgery back in April I have been doing well with physical therapy and getting my thumb back to normal, but I have had a hard time getting back to my regular drawing. 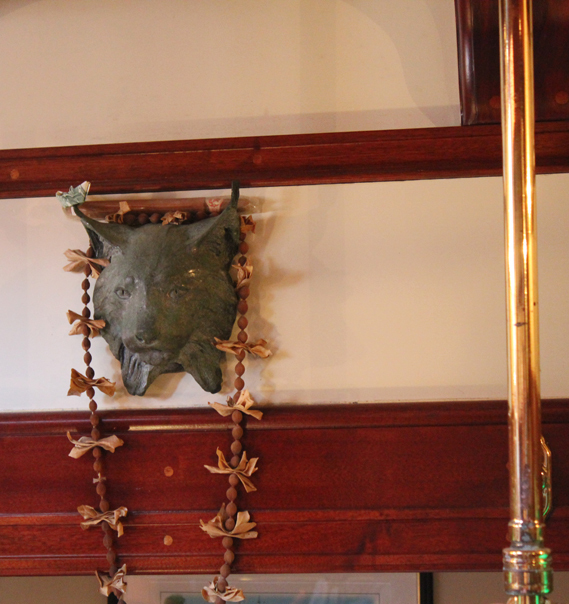 I had missed it so much and then when I sat down at my desk something seemed to stand between me and my work. I started reading some blogs, articles and books about artist’s block, resistance, fear and such to see if I could understand what had happened over those few months of not working. After reading all of these ideas, thoughts and remedies for artist’s block I have decided that the only thing you can really do is just draw again. Draw anything! 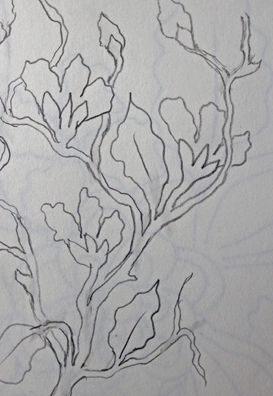 Make yourself doodle, scribble, sketch and don’t worry about what it looks like. I guess I am really fortunate that this is the first time in many years that I have run into something like this. I’ve often met people that I’ve done artwork for and they have asked me if I’m still drawing. I’d tell them that I will always be drawing. What a silly question I’d think. But for a moment lately I had begun to wonder. It seems, though, that all you have to do is get that pencil back on the paper and it will all work itself out with little effort at all. I got my camera and sketchbook out today and started looking for inspiration. 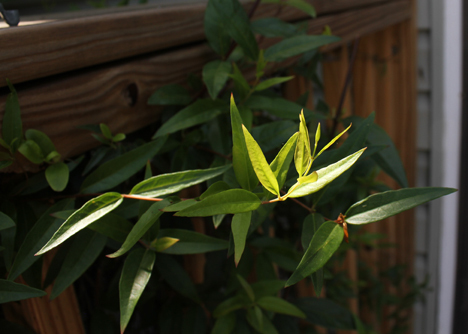 I am always inspired by nature so I photographed some beautiful vines that were in our yard. 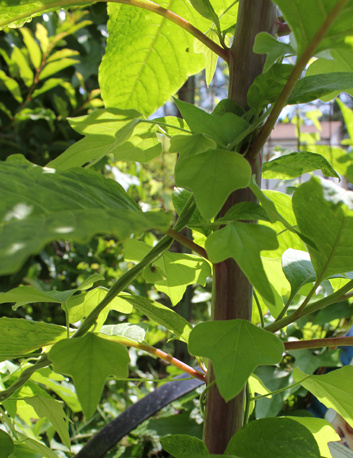 Most people would call some of them “weeds” and they do need cleaning up a bit, but they are still lovely to me the way the light shine through their leaves. I did some little doodles in my book and I thought I’d share a few of both with you here. Remember they are only “doodles” but at least they are getting done! Now to finish the portrait my client has been patiently waiting for. 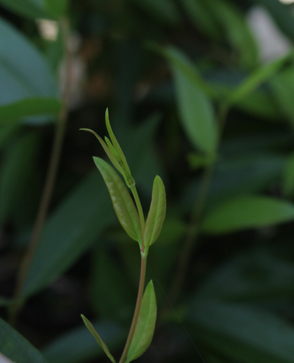 Tags: artist's block, nature photography, sketchbook, sketching | Permalink. 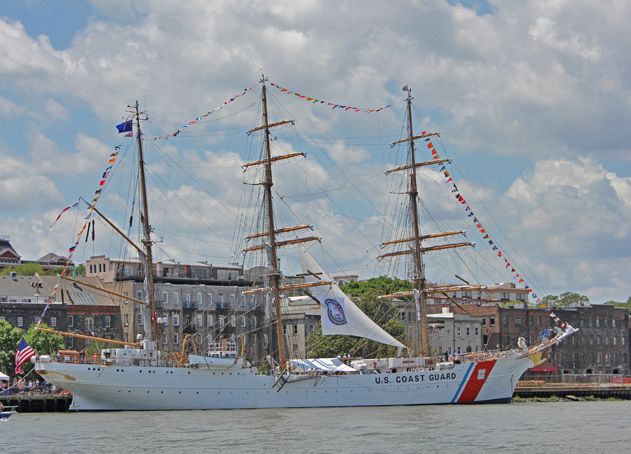 Two weeks ago my husband and I went to Savannah, GA to see the Tall Ships Challenge that was held there May 3rd through 7th. I have been promising a blog post and photos about it for much too long, so here it is. I do have a Photo Blog and although it is mainly for my nature photos I might post a few of the ships there as well. I have loved the ocean, seashells and sailboats since I was a small child. I was fortunate to have an aunt and uncle who lived on beautiful Jekyll Island and I spent many, many happy times there with them playing in the waves and watching the ships. So when my cousin told me last November that he had heard that the “Tall Ships” were coming to Georgia I knew I had to see them in person! 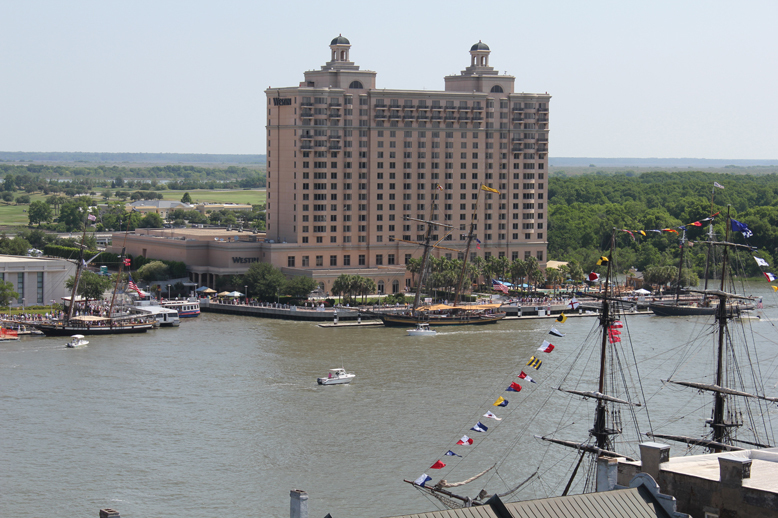 In the photo above you can see the view of the ships on the river from our hotel. We drove to Savannah on Friday night and the beautiful old city was very busy and the first ship we saw was the HMS Bounty beautifully lit. 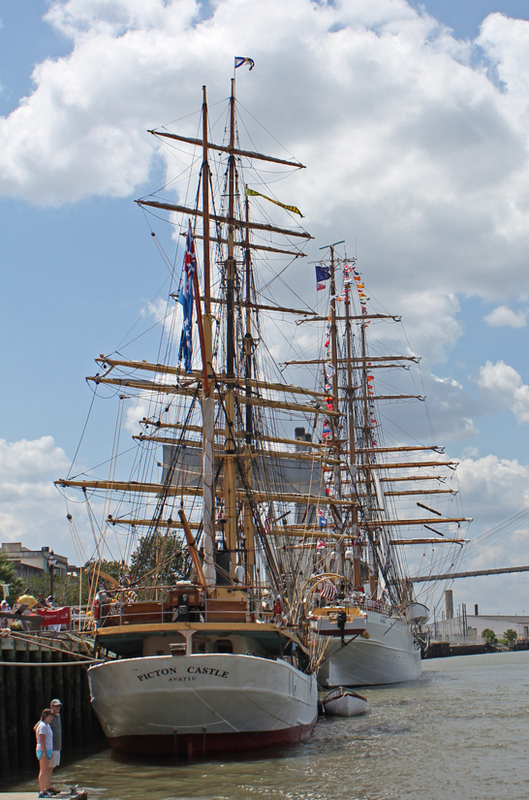 In addition to all of the beautiful ships docked along the river it was also Cinco de Mayo on Saturday, so there were many more visitors there than usual. Actually there was more of a wait in the bars and restaurants than for the ship tours! It was all planned and handled amazingly well by the people on the docks and the ships’ crews. 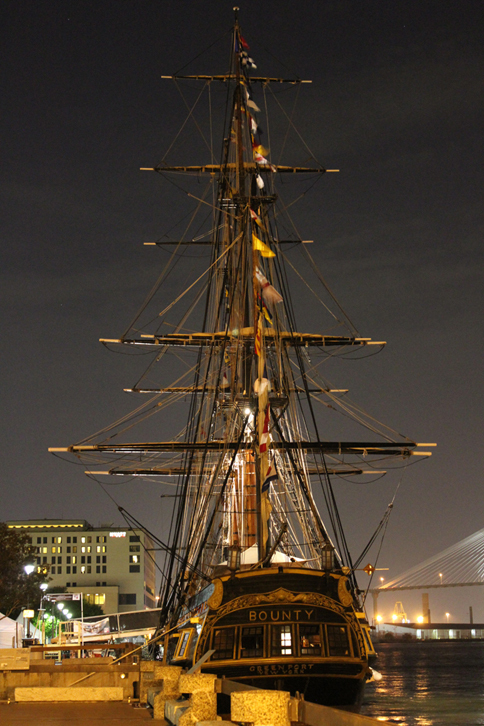 The HMS Bounty photographed at night. There were fourteen ships there and all were open for tours but the ships that were giving excursions were docked on the opposite side of the river from where we stayed so since our trip was on Sunday we waited until then to tour those. 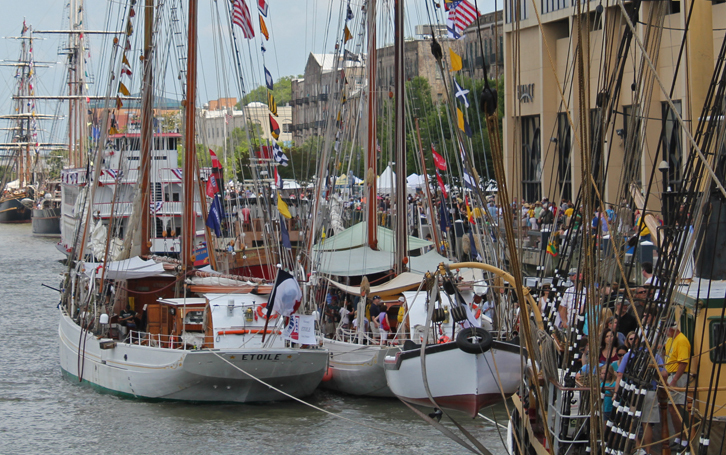 My favorite ship was definitely the Peacemaker, from Brunswick, GA. 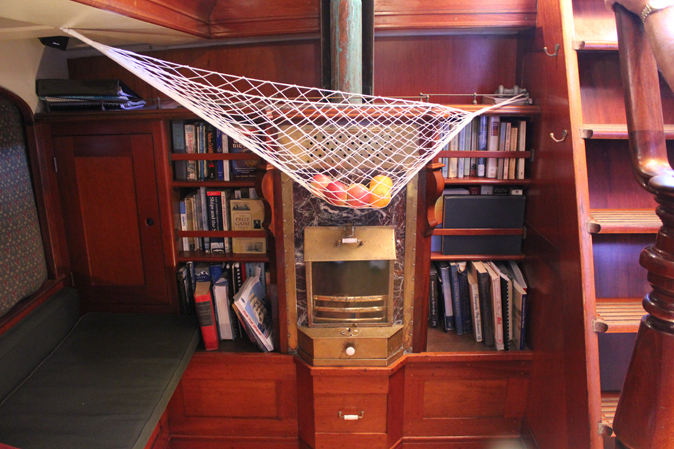 It was clear where it got its name when we stepped aboard. 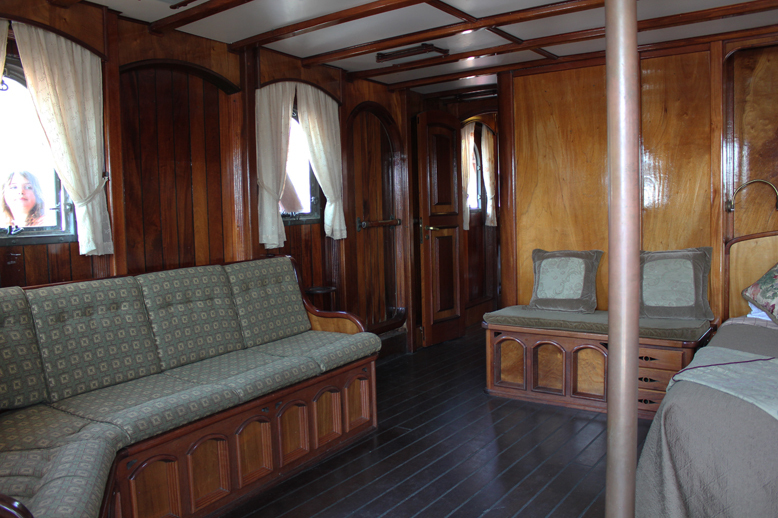 A family lives on it so it was cozy as well as being a huge, well built sailing vessel. 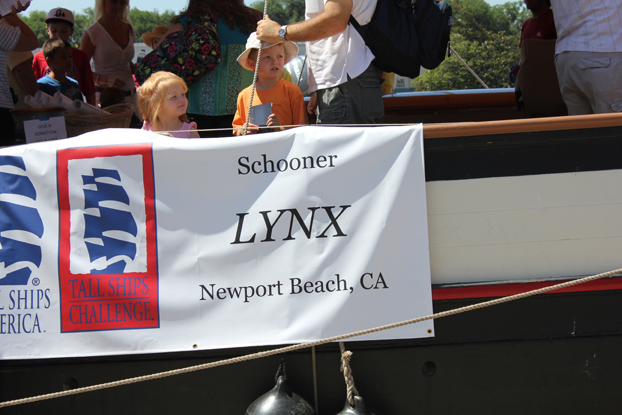 My second favorite was the Lynx, a privateer from Newport Beach, CA., which we toured on Sunday. I could see myself sailing on this one because it was so beautiful in it’s construction. The wood and brass was simply gorgeous. 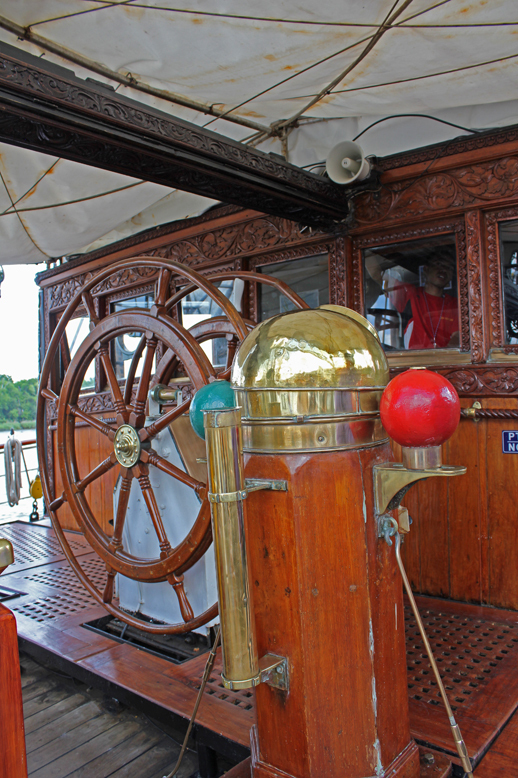 And my third favorite was the Appledor V which we actually sailed. 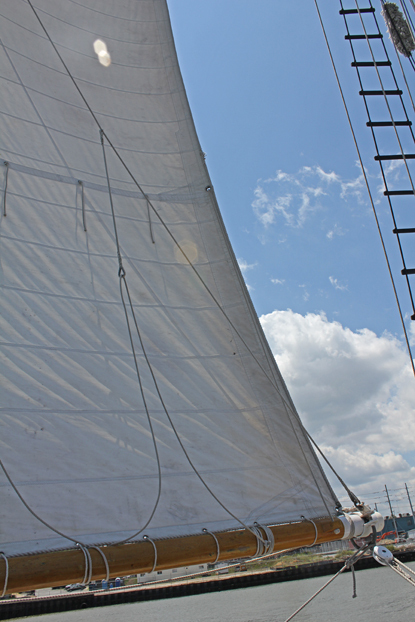 I even got to help raise the sail when we headed out of the port of Savannah. 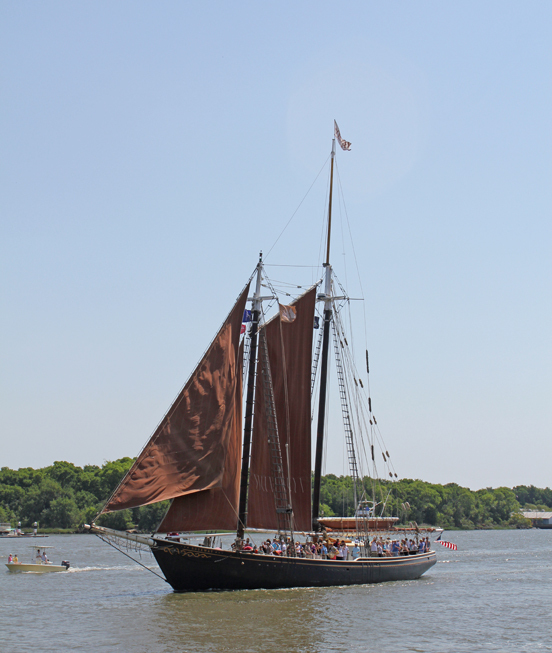 Named after Appledor Island, it is a beautiful schooner from Bay City, Michigan and Ft. Myers, FL. The only reason it was my third fave is that it was smaller than the ones we toured. For our sail on Sunday it was great, but for a long trip I don’t think I could be that close to eight people. 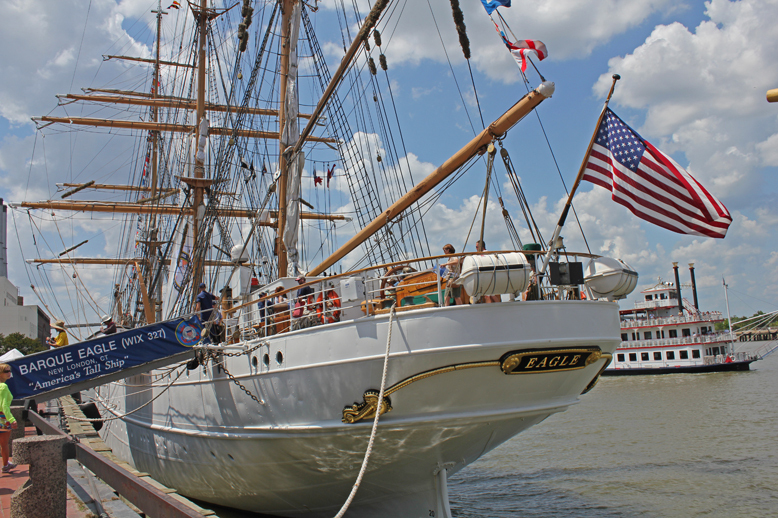 It was fascinating to walk on the deck of the US Coast Guard ship The Eagle. I believe it was the largest of all ships there with six officers and a crew of 49! 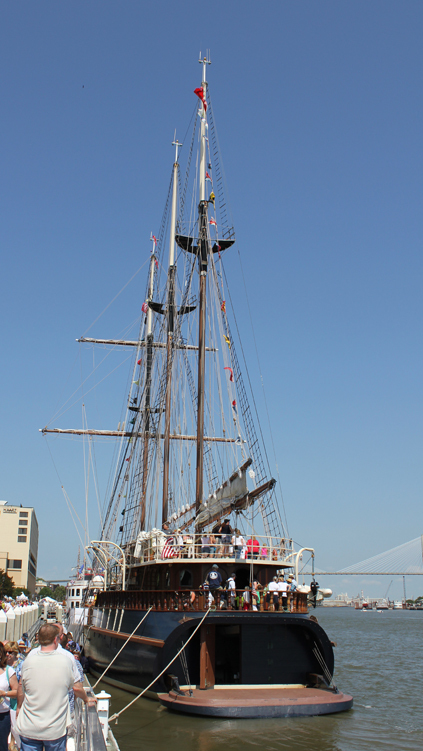 I believe the most popular ship on the docks that weekend was The HMS Bounty. It’s famous for the second making of the movie “Mutiny on the Bounty” and “Pirates of the Caribbean”. There was even a Captain Jack Sparrow look-alike there taking photos with young fans. It was fun to see the ship in person after having seen these films in which it starred and the most surprising thing about it was how small it feels after seeing it on the big screen. 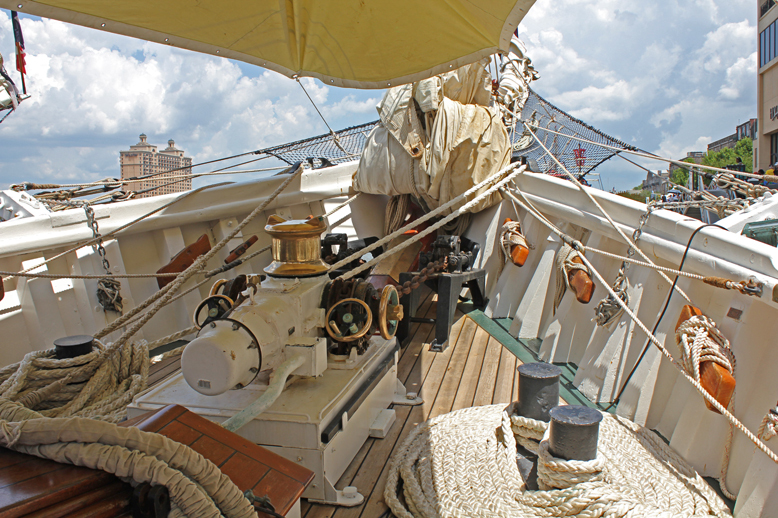 In addition to these there were ships from France, the Etoile and La Belle Poule, an Indonesian Navy ship the Dewaruci, the Picton Castle from the Cook Islands, Pride of Baltimore II from Maryland, The Roseway from St. Croix, and several more. I must say that being able to see and tour fourteen tall ships and even sail one of them made that weekend a dream come true for me. I have been sailing several times but never thought I’d see this many beautiful vessels at once. It was very hard for me to put down my camera even for a moment, so I hope you enjoy seeing the rest of these photos as much as I did shooting them. 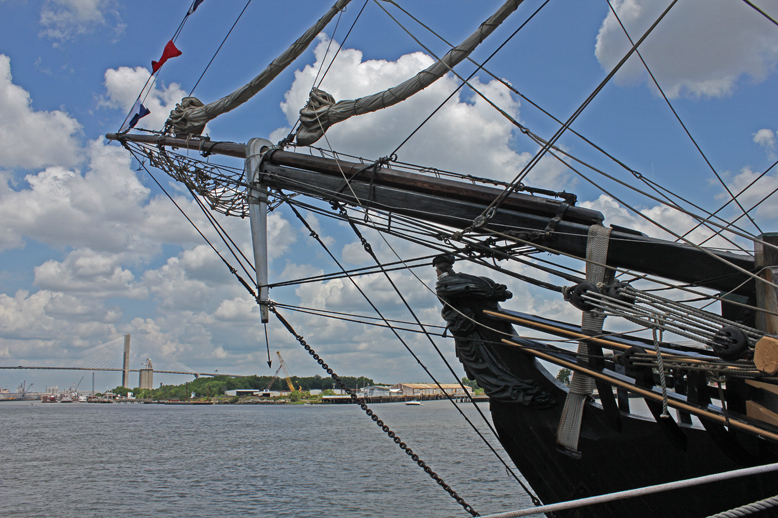 The Peacemaker photographed from the Savannah River docks. The banner as we were boarding the Lynx. A lynx on The Lynx. 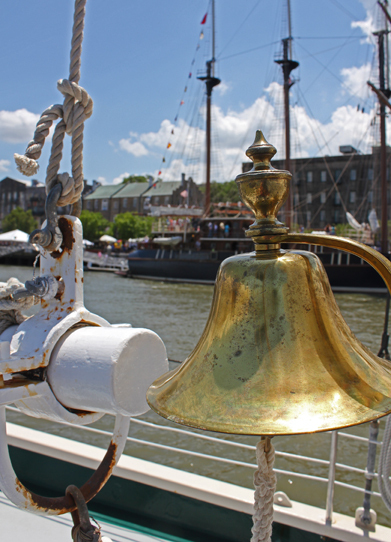 The sail from where I sat on The Appledor V.
The bell on The Appledor V.
Tags: HMS Bounty, Sailing, Savannah GA, Tall Ships Challenge | Permalink. Still Not Drawing . . . If you read my previous post you’ll know that I haven’t been able to draw for the past few weeks because of tendonitis, trigger thumb, and a strained ligament in my right hand. It’s been tough, really tough, not to be able to just sit down and sketch something when I feel like it. So I thought tonight I’d just talk about some of my new pencils, etc. and what I’ve learned about a better way to draw when I am able to get back at it. My physical therapist told me that I need to change my routine a bit and that she will be giving me instructions on exercises for both before and after I work with my hands. That will be after therapy. 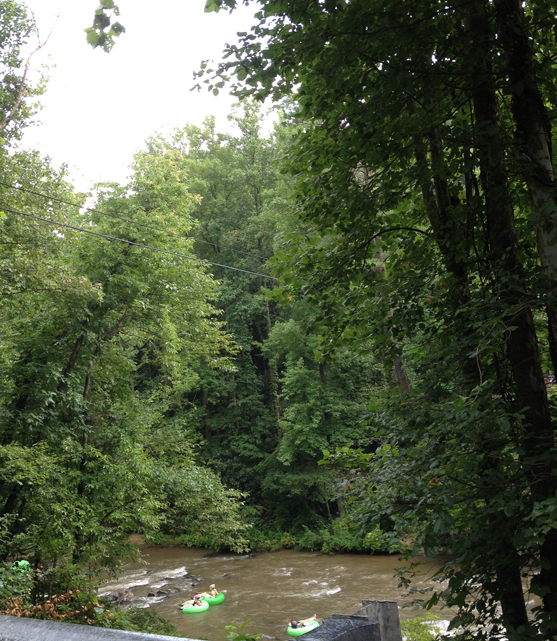 In the mean time I am having three Iontophoresisc treatments a week as pictured below. 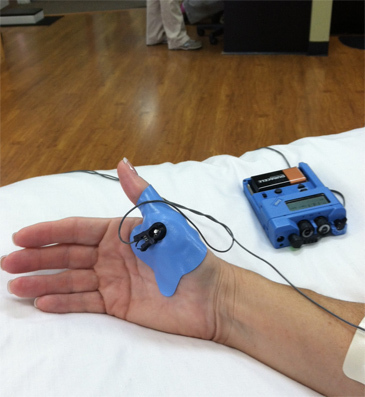 It is a way of introducing medication to my inflamed tendon without injections. My therapist told me that I will need to either get larger pens and pencils or add these soft grips to the ones I am using in order to take some strain off my fingers. I already had some larger barrel mechanical pencils that I enjoy using so they should work well. My Sakura Sumo Grip is my favorite. I am partial to regular wood pencils when doing graphite drawings. 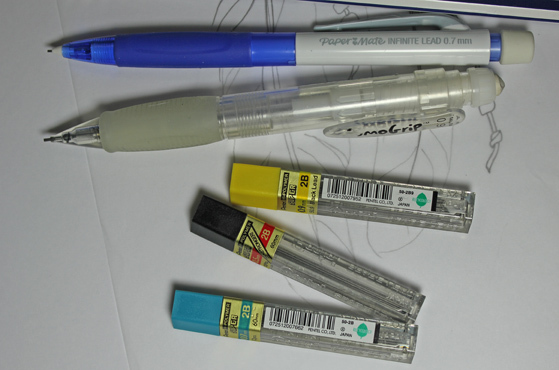 However, I always have my mechanical ones in my case especially when traveling with no pencil sharpener. Its also nice to be able to switch leads in them. Pictured above are a few of my 2B leadsin different sizes. My first love love is pen and ink! I don’t know if I will be able to improve the grip of this pen, but I will not stop using it. I don’t do much drawing with this particular one but I do sketch with it on occasion. I use Sakura Microns, Copic drawing pens, and Staedtlers mostly for drawing. 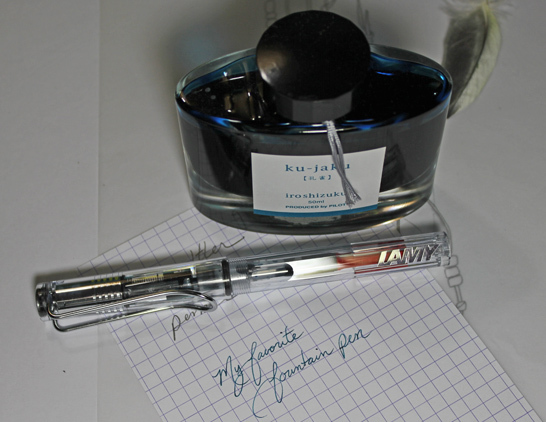 I absolutely love my fountain pen for writing letters and journaling, though! This beautiful turquoise “Peacock” ink by Pilot is my favorite color. (My favorite color for ink and everything else really.) I have had several fountain pens over the years, but I always come back to my Lamy. It is often called the beginner’s fountain pen, it’s the least expensive at $35, but it has the fine nib and I so enjoy writing with it. This model, the Vista, is clear so I can easily see when I need to refill it. 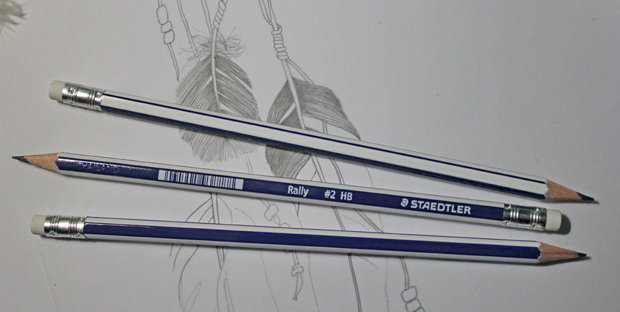 The three pencils pictured here are Staedtler Rally that I got last week. I love how smooth and dark they write for an HB yet they don’t smear like a softer lead. I look forward to using them soon. 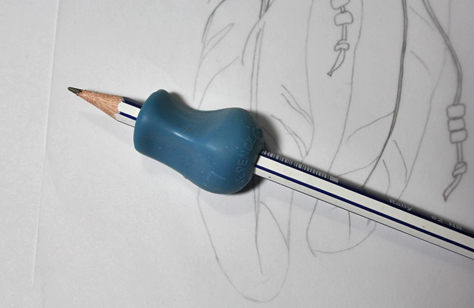 So that’s what I’ve been up to since I can’t draw…looking at and photographing pencils and pens! 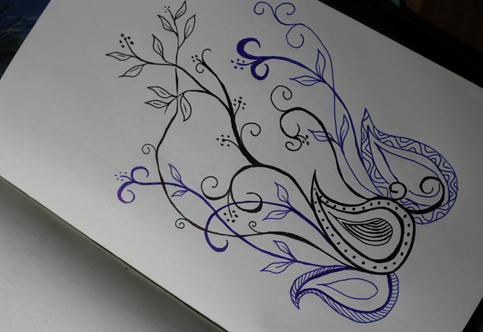 Tags: drawing, fountain pens, ink, pen and ink, pencils | Permalink.